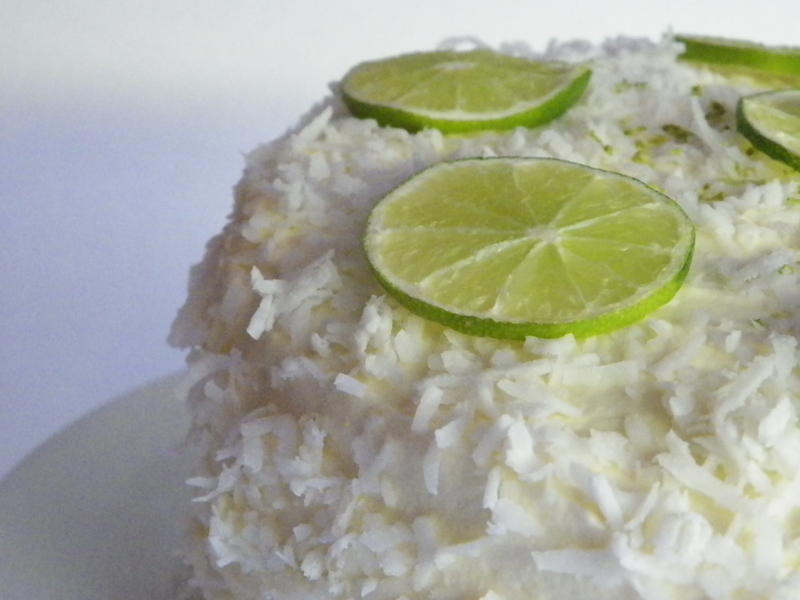 I love the combination of coconut and lime. It’s really fresh and summery, which is nice when you’re in the middle of the horrible heatwave Melbourne is experience at the moment! The last thing you feel like doing is forcing down a piece of heavy mud cake down your pie hole, so this cake, I thought, was ideal. 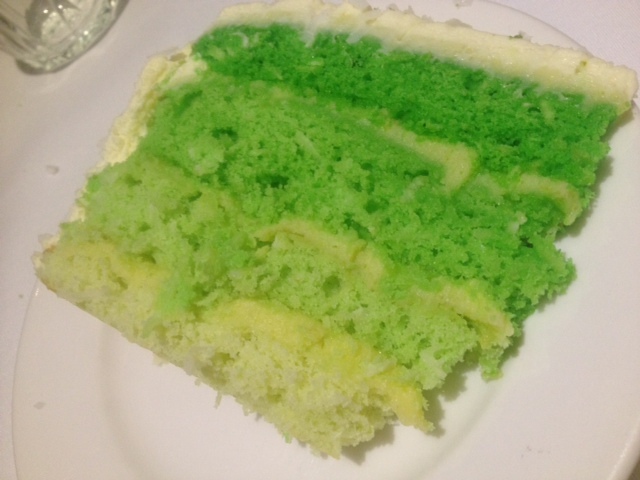 As you may have seen, I enjoy making layer cakes with different colours and gradients; it just makes it a bit more fun, especially when kids are around. 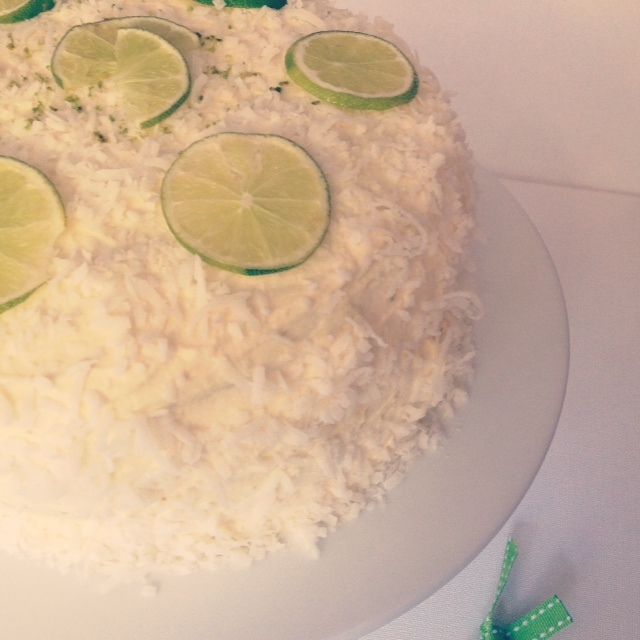 I also decided, instead of covering and filling the cake in buttercream, I used a fresh and tangy lime curd to sandwich the layers, and whipped cream to cover the cake, with some coconut, too. Buttercream does not go down well in heat! 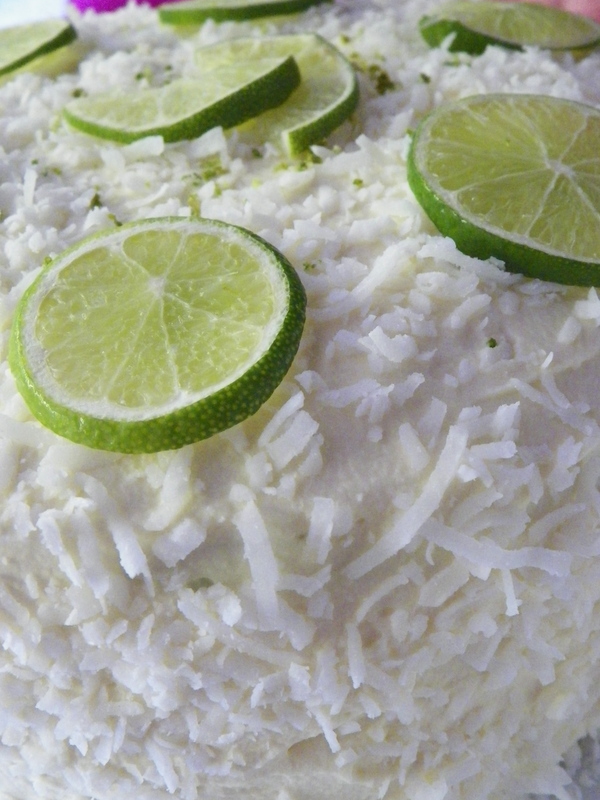 For the cake, I used my trust vanilla cake recipe I have used many times before (which is originally a cupcake recipe, but it works just as well for larger cakes), and just added a bunch of lime zest, lime juice and coconut. It’s so easy and it works perfectly every time, especially when adding different flavourings. I only had a couple of hours to make this cake, so the layers are not quite as even as I’d like them to be. Oh well, it still tasted pretty awesome!